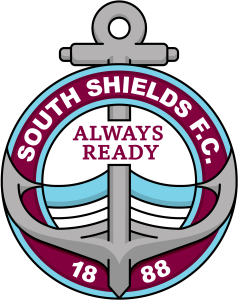 South Shields travel to Bamber Bridge on Saturday as they aim for a return to winning ways in the Evo-Stik Premier Division. The Mariners are five points off the top after a run of three games without a victory, and leaders Farsley Celtic have a game in hand. Despite the recent blip, joint manager Lee Picton remains confident Shields have what it takes to clinch promotion. He was pleased with their performance in last Saturday’s match against second-placed Warrington Town – despite a 2-1 defeat – and is adamant that if that display is repeated consistently, they will win a considerable amount more than they lose. Picton said: “It doesn’t happen very often after a defeat, but I was a happy manager last week and proud of the players in terms of the character and quality they showed. “We ticked lots of boxes in the game and it was just one of those days when we didn’t get what we deserved. “We’re not going to give up. “We’ve got 12 games to go and our target is to finish with as many points as we possibly can, and we’ll see where the cards fall come the end of the season. “There will be no giving up from our end. Shields and Bamber Bridge last met just a fortnight ago, with Brig battling back from 3-1 down to earn a share of the spoils at Mariners Park. Picton is confident that should Shields replicate the sort of performance they delivered against Warrington, they can get back to winning ways. He added: “Regardless of who we’re against, it’s an opportunity for us to again show the qualities we showed last Saturday. “We’re looking for another really strong performance in terms of personality and hopefully quality. Shields remain without long-term injured trio Carl Finnigan, Anthony Callaghan and Barrie Smith heading into the trip to 15th-placed Brig. Josh Gillies is a doubt while Gary Brown has been ruled out with a calf injury. Dillon Morse and Lee Mason are expected to shrug off knocks to be available, while new signing Connor Bell is eligible to make his debut. Kick-off at the Sir Tom Finney Stadium – which has a post code of PR5 6UX – is at 3pm.